If we determine that you have any further dental issues during your check-up, we’ll review our treatment plan recommendations with you which will includea complete cost breakdown. Please note: the offer is not available on Sundays. 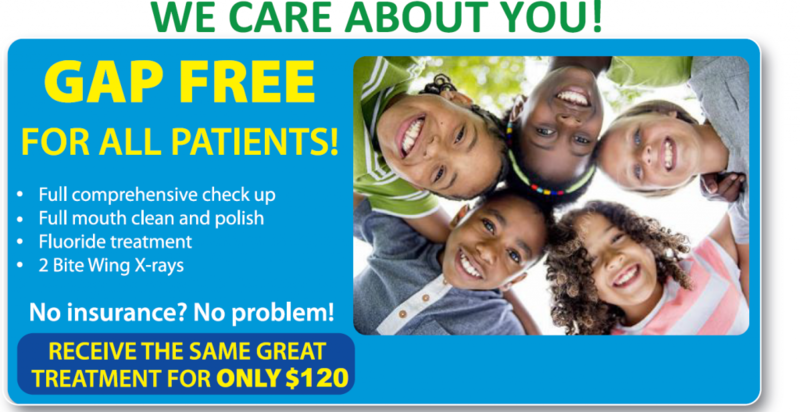 We also offer gap-free check-ups to everyone with health insurance! Smile confidently with our affordable dental check-ups. Contact us today to schedule an appointment!